your laptop running problem free for years to come. that you keep your laptop running cool. laptop is running hotter than it should. is the first thing to go. piece of hardware being that it holds all your important data. 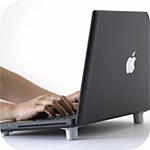 This makes following best steps to prevent laptop overheating crucial. 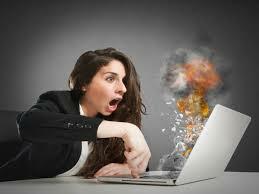 Top 5 Tips To Prevent Laptop Overheating. and tear, potentially leading to an early fan failure. times a year, of course adjust accordingly if your laptop is consistently dusty. For laptops that aren't visibly dusty compressed error can be used less often. laptop through the case and out the side of the laptop. reason for this is that you don't want to potentially push the fan beyond its manufacturer rated speed, damaging it during the cleaning process. your laptop and keep it running smoothly. Tip 2: Do Not Use Laptop On Surfaces That Block Or Restrict Airflow. This is one of the simplest yet most effective tips to prevent laptop overheating. intake vents on the underside of the laptop. even your own lap e.t.c. the intake vents on the underside of a laptop. laptop will often sink into the surface and potentially overheat if the intake vents are completely blocked, etc. If you are going to place your laptop on a bed, carpet, or other similar surface, a large hardcover of book or equivalent flat surface works wonders and may just prevent laptop overheating. And if you use your laptop on your lap like most individuals, try to make sure the underside vents are not blocked. Spreading your legs to allow airflow to the vents or even using a flat surface between the laptop and your legs works wonders. Tip 3: Shutdown A Laptop Before Placing It In A Laptop Case. laptop in a case while it is still running may cause severe laptop internal damage. individuals do this because of improperly configured power saving settings, carelessness, or lack of knowledge. tear from all the excess heat will still shorten the lifespan of the laptops internal components, making a premature component failure imminent. generate some heat for it still needs to draw a small amount of power from the laptop battery. computer completely off, or you hibernate it. disk, and then turns off your computer. Hibernation is great because you can still quickly resume where you left off without any laptop overheating risks. Tip 4: Use Laptop Lift To Increase Airflow. bottom of the laptop and potentially prevent laptop from overheating. This tip is especially useful during the summer months when temperatures rise. If you use your laptop computer on a day to day basis, I highly recommend you buy a laptop lifter this cost free. it cool is an essential best practice. the laptops bottom intake fans. options will increase airflow and help prevent laptop overheating. Tip 5:Buy a Laptop Cooling Pad. pad is the best way to prevent laptop from overheating. If you put your laptop through long hours of use, the small price you will pay for a laptop cooling pad is totally worth the admission. run hotter, or you live in a place with a hot climate, a laptop cooling pad is even more ideal. the bottom of the laptop, and some even have built in fans for cooling the laptop further. A cooling pad can also prevent premature laptop component failure because it will always insure your laptop vents are unobstructed and proper airflow is getting to the underside of the laptop. Most laptop cooling pads are light weight and portable like today's laptops, and there are tons of choices out there. Evercool, Rosewill, Belkin, Targus, and Cooler master.Enjoy!!!!!! !